Don was born in Auburn, Indiana, and graduated from Auburn High School. He was awarded an American Legion scholarship to attend Wabash College. He served in the United States Air Force from 1951 to 1953, then returned to Indiana to attend Indiana University School of Law. In 1956 he was admitted to the bar and began private practice. Don joined Husselman and Husselman in 1957. He is licensed to practice in the Indiana and U.S. District Courts, Northern and Southern Districts of Indiana; 1972, U.S. Court of Appeals, Seventh Circuit, and U.S. Supreme Court; 1983, U.S. Tax Court. Because of his lifelong connection with Auburn and DeKalb County, and his involvement in city government, the school district, and local church and service organizations, Don is well-known in this community. He has served as a member of the DeKalb County Central United School District Board of Education; trustee of Elkhart Public Library; and in various local and synodical church positions. He represented DeKalb County Central United School District (1962-1972; 1978-); City of Auburn (1964-1975 and 1992-1994, through the terms of Mayors C. L. Boger, Don Allison, John Foley, and Norman Rohm); Town of Ashley (1980-1995). 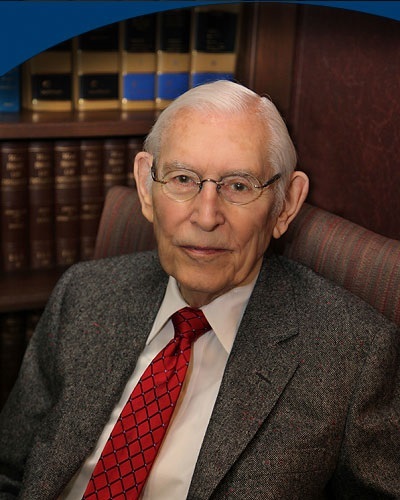 His professional affiliations are DeKalb County Bar Association (served as president 1961-2, 1973) and Indiana Bar Association. He is a fellow of the Indiana Bar Foundation. Don is a member of St. Alban’s Episcopal Church. He is a 33° Mason and an active member of a local lodge, Scottish Rite, and Shrine Club. His personal interests include travel, reading, fitness, music (he supports the Fort Wayne Philharmonic), and family activities.